If your group is hosting an anniversary potluck meeting, workshop, roundup, or other special event you may forward the flyer to be posted in the events directory. 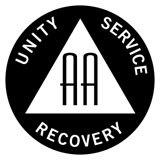 Please remember that any flyers that you forward for posting must describe the AA content of the event (Meeting, Speaker, Panel, Workshop, Roundup, etc. ), and comply with the traditions; including: no full names, no pictures, no promotion, no links to non-AA websites, and no full name email addresses. Flyers without AA content or that do not comply with the traditions are not posted. ASL Interpretation for Intergroup Sponsored events is governed by the ASL Interpreters policy. If you have any questions about posting your event, please contact the office. Saint Paul Intergroup - Spring Fling! ASL: ASL interpreter may be provided. See flyer or web site for details.